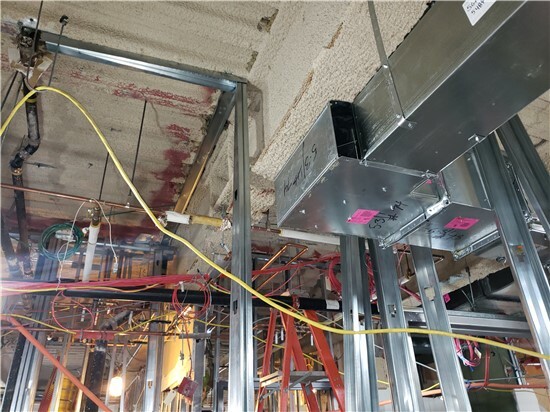 A: The duct 90 degree connection was sized incorrectly leaving an opening. If left uncorrected, air would be spilling out into the ceiling and the VAV unit would not meet design flow. Thank you to Mykhaylo Hroshko, Project Engineer for sharing.